Pour 240ml of Skimmed or soy milk into a shaker bottle or blender jar. Gently shake canister of Formula 1 National Shake Mix prior to each use as contents may settle. Add 25g or approx. 3 table spoons of Herbalife ® Formula 1 Nutritional shake mix and 6g or approx… 1 scoop of Personalized protein powder to the skimmed or soy milk. 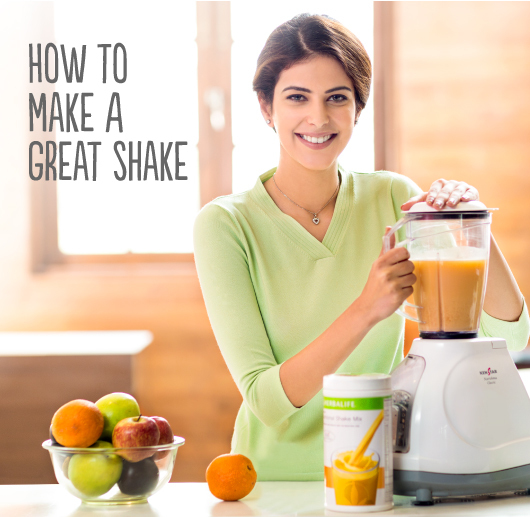 Pour 240ml of fresh fruit juice into a shaker bottle or blender jar. If desired, add few ice cubes. Shake or blend to mix well.